Lesley attained her CA designation in 1995. Her career was primarily spent in industry in senior financial roles in several industries including multimedia, high tech and entertainment. She was Financial Controller for the company which created Sympatico at the outset of the internet wave and Director of Finance for a multimedia ad agency which was involved in designing some of the first online stores. She was also Director of Finance for a live music production company, doing the accounting for the tours of the Rolling Stones, U2 and Madonna, to name a few. 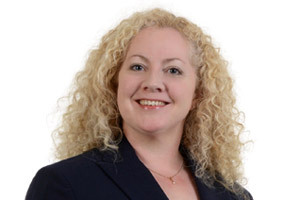 In 2013, Lesley began her career with Welch LLP, having previously been a client of the firm. Since then she has gained extensive experience servicing a wide variety of owner managed business clients including those in the construction, hospitality, manufacturing, insurance, not for profit, retail, professional service, agricultural and farming industries, as well as providing general corporate and personal tax advice. Enjoy curling in the winter and rowing in the summer, a good book and spoiling my british bulldog, Roxy.